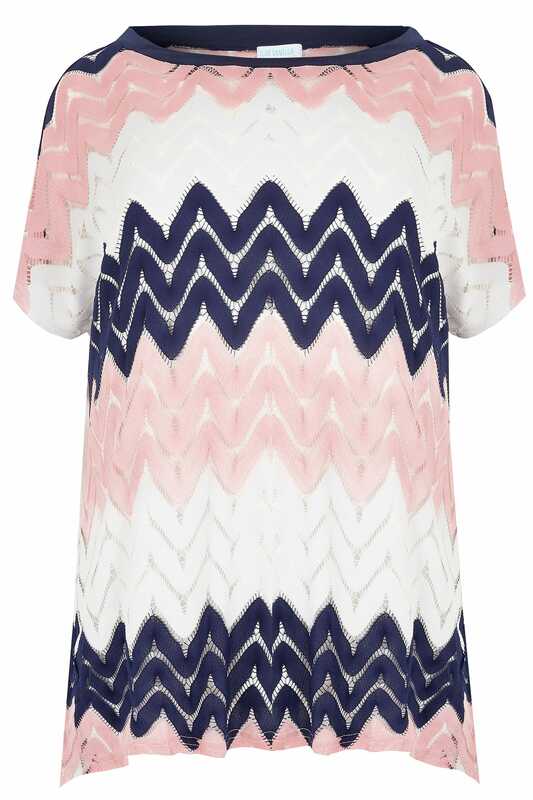 Introduce a welcomed dose of colour to your wardrobe with this top. Effortlessly combining comfort and style, its relaxed style has been woven from a lightweight knitted fabric in a chevron style featuring a scooped neckline and short sleeves. Team with a camisole, denim and flats for a go-to weekend look. 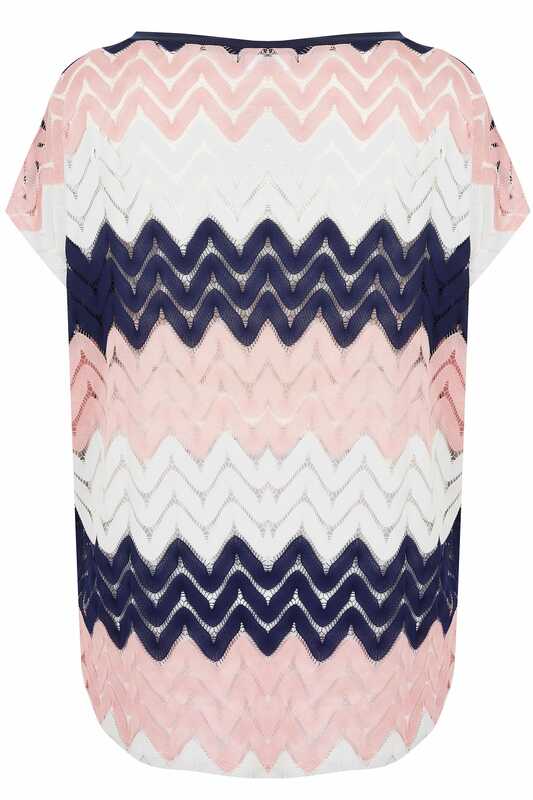 We love the tops colour palette- on-trend and feminine.